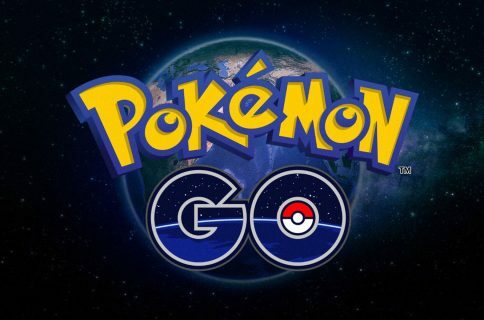 Thanks to an exclusive report by MacFormat, related by MacRumors, we now know that the Kazuyo will permits players to customize button assignments and sensitivity to their liking using a free companion app, pictured below. 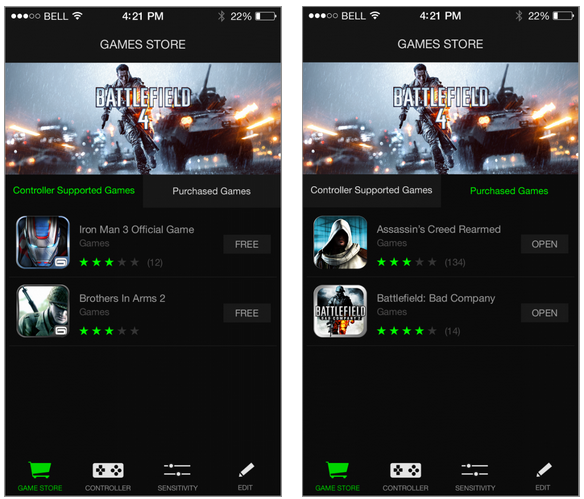 The software is said to keep track of iPhone and iPad games which incorporate support for iOS 7 controllers while offering promotions and listings for special deals. 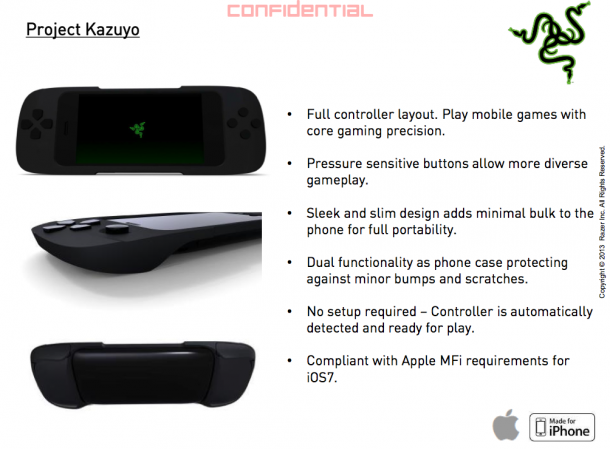 The controller could include a built-in speaker. Another cool feature setting apart the Kazuyo from the rest of the pack: you should be able to tilt your device up when docked for better viewing angles. 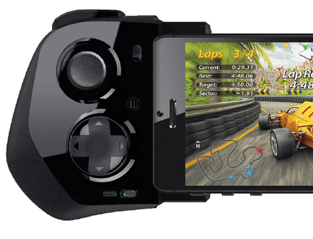 Other proposed capabilities, leaked in an internal memo (see the image top of post), include full-sized analog sticks with pressure-sensitive shoulder buttons and a slim hard-shell case design with rounded corners, adding minimal bulk while protecting the docked device against minor bumps and scratches. Rendering of the old Kazuyo design. You may also want to check out the RP One controller by Signal, expected in the first half of this year with a price tag of $99.99, and Xbox-inspired C.T.R.L.i. by Mad Catz. I used to be ecstatic about iOS controllers. Now I’m just saddened that these things appear to be failing miserably. Realizing as much, Apple has recently decreased licensing fees to give vendors some breathing space so they could price-match their accessories to Sony’s DualShock controller for the PlayStation. Speaking of consoles, if you own a PlayStation, the awesome Controllers for All jailbreak tweak should be a no-brainer as it lets you use Sony’s DualShock controller with any iOS 7 game which supports physical iOS controllers. 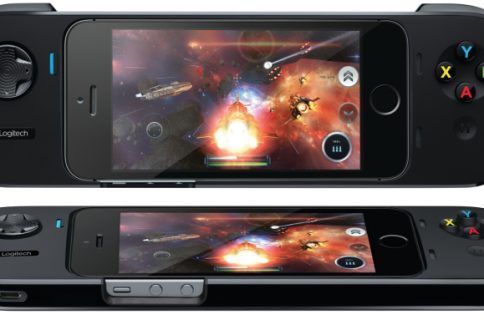 What’s your stance on the initial offering of iOS 7 controllers? Do you have one, or have you tried one in person?